The two new upright pianos in the W.HOFFMANN Vision V 126 and V 131 series are continuing the series’ great success. W.HOFFMANN Vision V 126 upright piano with a precise playing mechanism and classical cabinet possesses due to its height a much more voluminous sound than the two smaller V 112 and V 120. W.HOFFMANN Vision upright pianos – this new line of reasonably low-priced upright pianos, but with standards, is the European quality alternative to cheap products from Asia. For the perfect touch of W.HOFFMANN Vision V 126 upright piano with fine shading, effortless repetition and pleasant tonal character is based on European standards. Even the definition and monitoring of all components is done by experienced piano makers and masters of the C. Bechstein Europe factory. Guarantor C. Bechstein Europe, Czech Republic, is responsible for everything from production to strict quality control.The W.HOFFMANN Vision V 126 upright piano offers a sensationally attractive value for money. A great upright, affordable, strong sound and from a truly good company – C. Bechstein Europe! Not outsourced, but produced in our modern, new production facility with very close links to our German parent company. Compare the market, inquire about the background and quality components. You will find that explains from where the unique quality of our instruments originates. We build the W.HOFFMANN Vision V 126 upright piano with our sense of responsibility, with all our know-how, with our own team. 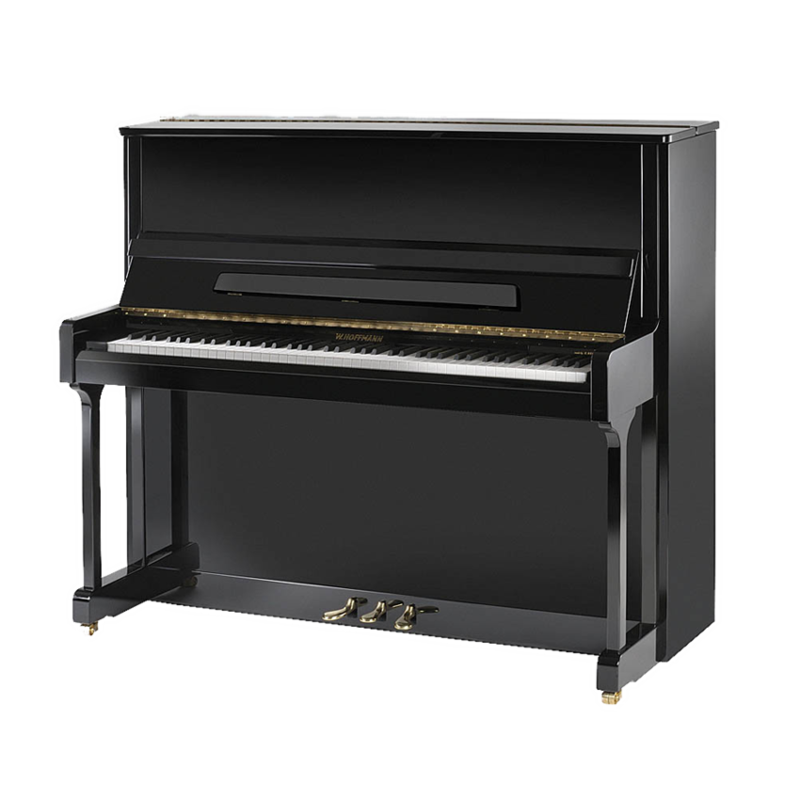 The W.HOFFMANN VisionV 126 upright piano can also be equipped with the C. Bechstein Vario System. This Vario System is beneficial for your piano, because it makes the instrument even more flexible and valuable.This high-profile system allows you to play and practicce any time, day or night, without roommates or even neighbours being able to hear. Characteristics W.HOFFMANN Vision upright V 126 with ample sounding board.